The Rebel Sweetheart. : Lazada's Online Revolution | Deals, Discounts, and more! 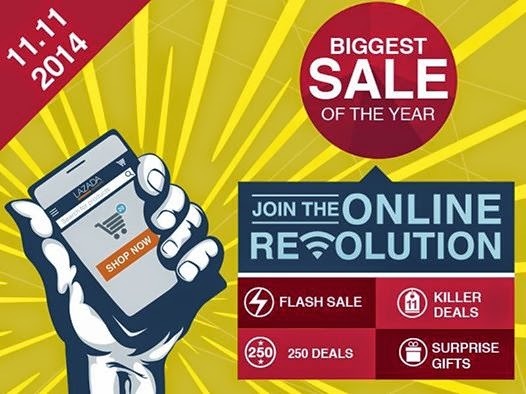 Lazada's Online Revolution | Deals, Discounts, and more! Mark your calendars, people! There's a Lazada sale event coming our way, and it's gonna be huge! Dubbed as the 'Online Revolution', this event promises to be the biggest online sale event Southeast Asia has ever had (where else can you get an LED TV for only Php 4,990?! ), and is set to rival Black Friday, Cyber Monday, and Singles Day. The Online Revolution is set to kick off on 11.11 (November 11, 2014), with a month-long offering of sales, deals and discounts, and lots and lots of promos. Unbeatable bargains continue on 12 November with daily deals from Lazada Philippines. MasterCard Monday – enjoy 10% off when you pay with a MasterCard. Trendy Tuesday – find great bargains on the hottest items in Fashion, Home & Living, and Watches. WOW Wednesday - go crazy with up to 70% off on products across all categories. This offer is exclusive to Lazada App users. Download the Lazada App (Android & iOS) to enjoy the WoW deals. Tech Thursday - get tech-savvy with this steal on our latest technology gadgets and innovations. Flashsale Friday - it’s fastest fingers first every Friday for timed deals and steals. Wireless Weekends – save money on-the-go with mobile exclusive sales. Phone Raffle on Facebook – stand a chance to enjoy the best phone deals from 1 – 10 November for Facebook fans who tag 11 of their friends and share Lamido’s post. Power Bank Raffle on Twitter – find bargains on power banks from 1 – 10 November on Twitter. WeChat Flash Sales – get special discounts off 11 items in flash sales from 10am – 11pm. Shipping Deals – enjoy 20% to 80% off shipping for the top 20 products across 11 categories. For more details and real-time updates, like Lazada on Facebook or add them on LINE (@LazadaPH). The Wow wednesday sounds awesome. I'd like to use it just for that! I am all about scoping out deals and sales online, especially before Thanksgiving and the holiday shopping season really ramps up. I have only been Black Friday shopping once and I swore after that time, never ever again. Since then, I have only been shopping great deals online year-round. Lazada's Online Revolution sounds amazing! I'll be checking in on the flash sales!!! This sounds like a great place to find some Christmas specials. Thank you for sharing. oh cool!! I'm sure I'm not the only one who would love this but the hubby as well! great deals! Early Christmas shoppers I hope you are reading this or notified of such shopping bonanza! I love finding a good deal! Especially if they're online. This is awesome saving indeed. Wednesday sounds amazing at 70% off. Thanks for sharing. Dang! They went nuts with this. Who doesn't love great deals and Xmas shopping, anyway? This is one of the great sale of the year. I wasn't able to buy something but the deals are steal! Excited for their Dec 12 sale! 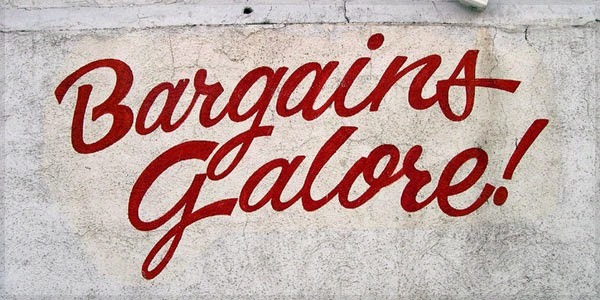 Hope there are really good deals!